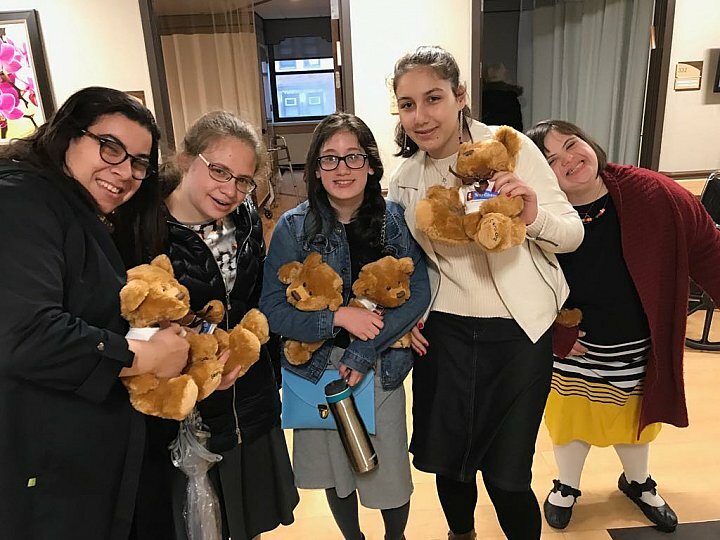 November 5, 2017 - The YAD Girls of the Friendship Circle of Brooklyn visited nursing homes in the area, and gave out teddy bears to the residents. 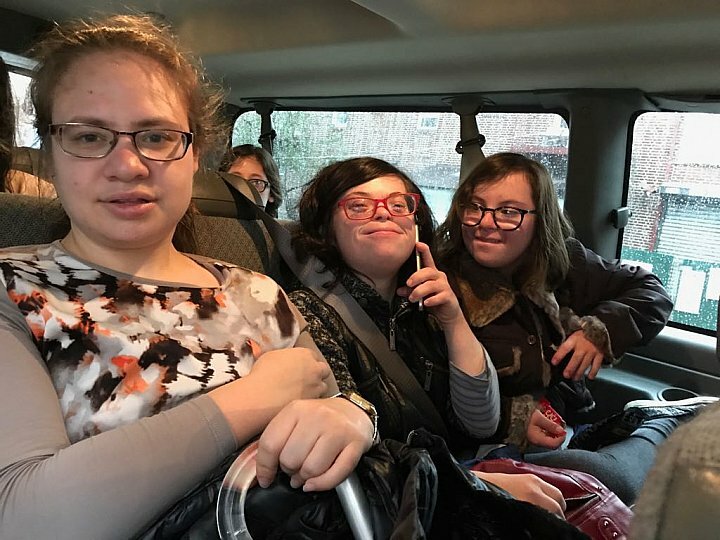 In the YAD Girls program, young adults with special needs come together to socialize and have fun together. 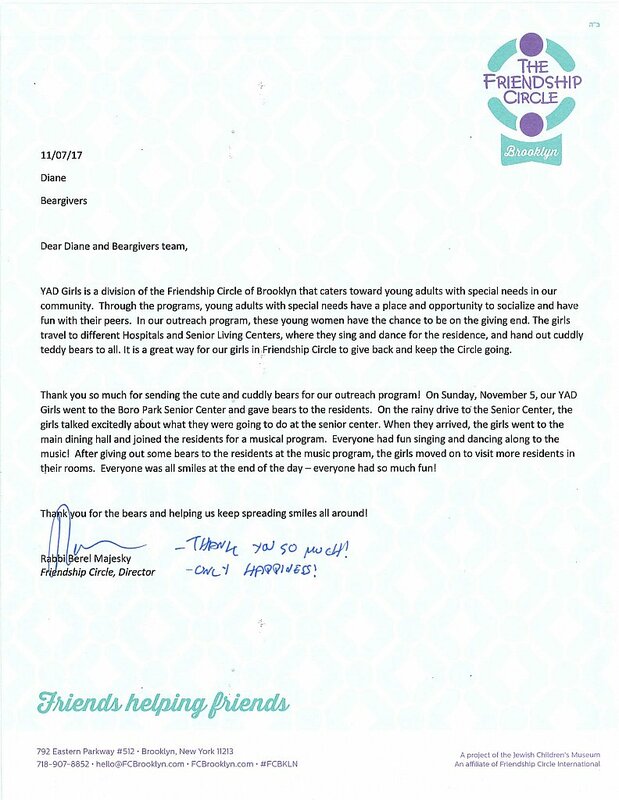 At the outreach program, the girls have an opportunity to give back and keep the circle going!